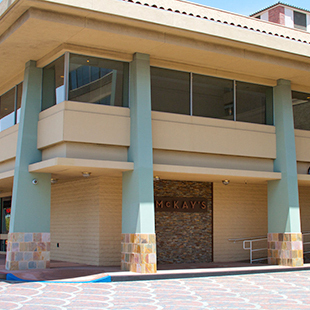 Conveniently located in the USC Hotel, McKay’s was created in homage of one of the game’s greatest personalities, John McKay. Memorabilia of some of the greatest moments in USC history frame the space exemplifying the winning tradition and heritage of its namesake. The menu, crafted by Chef Mikery Hatfield, features American cuisine with regional influence. McKay’s offers breakfast, lunch and dinner, seven days a week. Looking for a quick bite or libation? Visit the lounge. The Trophy Room offers a private location for social or corporate gatherings.